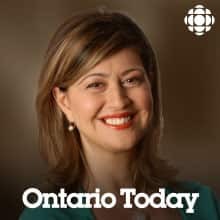 How to cope with an elderly parent's emotional outbursts, with psychotherapist Janice Berger, author of A Conversation About Emotional Fitness. Ed Lawrence's suggestions and advice. Golf journalist Lorne Rubenstein and fans on Woods' Masters win after years of scandal and injury. The three-men-in-a-hot-tub logo; the license plate slogan; tailgating parties. Is every budget line important to somebody? Or are some just distractions? Download Such a thing as a political promise that's too small? Analysis with McMaster University economist Michael Veall and open line callers. Ontario moves to legalize drinking outside sports venues. A political distraction? Or scoring big with sports fans? Download Tailgating in Ontario: Hallelujah or heck, no!? Two delegates at the Daughters of the Vote event on Parliament Hill, and an open line debate about turning your back and walking out on political leaders. Download Youth protest: What's effective? How to source a new jasmine plant and help for an overwatered bonsai. Download Getting to the bottom. Full or partial sedation for colonscopies? Education directors in Toronto and Hamilton on what provincial changes will mean for students; a former superintendent says government is spoiling for a fight with unions. Toronto Furies player Carlee Campbell talks with callers about why this league didn't thrive in a country that takes pride in its hockey. Download CWHL folds: Do you care about women's hockey? Liberals callers torn over the expulsion of Jody Wilson-Raybould and Jane Philpott from caucus; with response from cabinet minister Karina Gould. Download Ousted from caucus: Did the Liberals make the right move? Exploring how secular values play out in society, with Pierre Jury, Editorial Page Editor with Le Droit. Download Banning religious symbols: Is this what secularism looks like? Plus Ed Lawrence's advice on moving asparagus; moles in the lawn; creeping charlie; saving a broken bough; and growing seeds under LEDs. Crunch the numbers. Consider the alternatives. Dale Beugin, an economist with the Ecofiscal Commission explains what the new federal carbon tax and rebates will mean for you. Download Carbon tax: Are you better or worse off? Open lines with the Nick Pateras, Vice President of Strategy with Lift & Co., the company hired by Ontario's Alcohol and Gaming Commission to train retail staff at marijuana stores across Ontario. Jazz vocalist Heather Bambrick says a few months of streaming revenue can net her $100. Weather Station's Tamara Lindeman says, increase pay per play to at least 1 cent. Download Can Canadian musicians make a living? Anglers and hunters worry about being associated with the hunt. The government's own scientists warn against it. Download Ontario's cormorant hunt worth a rethink? A Brantford mother's post to social media launches a national debate. Download One issue per doctor's visit: Good time management or bad medicine? Teachers and students with experience with online learning weigh in on a change the province plans to introduce in 2020. Download Is making online high school courses mandatory a good move? What happens when independently-minded politicians come into conflict with their party leader? Political scientist Alex Marland, Conservative MP Michael Chong and callers weigh in on two current examples, one at Queens Park, the other on Parliament Hill. Download Why vape but not smoke? Download Does the federal budget appeal to millennials? Download Gardening: Ice is bad news. Download Are bigger high school classes a big deal? Try as you might, plastics are hard to give up. The Ontario government is floating a trial balloon about banning single-use plastics. Could it work? We start with a case study of what happened when the City of Toronto tried to ban plastic bags. Should SNC-Lavalin have to stand trial? Only the current AG David Lametti can grant the company a plea deal. A debate about what he should do. Download Should SNC-Lavalin have to stand trial? Psychologist Randy Paterson says, society has a discomfort with discomfort. Expecting to seal off an event is unrealistic and unhealthy. Download Is getting closure too simplistic? Download What difference will a pot pardon make? Download Jody Wilson-Raybould speaks. Are things any clearer? The debate over how to deliver services to thousands of children with autism . Download Ontario's autism overhaul: Is anybody happy? Download Now Singh has a seat, does the NDP stand a chance? Download Gardening: Not dead yet! Download Does Green Book deserve Oscar for best film? Download Alberta's convoy. Does Ontario care? Why Gerald Butts' resignation is making some Liberals sad and others fearful about the next election. Stand with Jody or Justin? The political implications of the SNC-Lavalin scandal. Will Liberals abandon the Trudeau government? Open lines with Chief Bob Chamberlin and Carleton University Indigenous studies instructor Veldon Coburn. Download Stand with Jody or Justin? A legal analysis of the most serious allegations against the federal government, with law professor Jennifer Quaid. Will you boycott GM's made-in-Mexico cars? Open lines with Jerry Dias the union president who is asking. Download Will you boycott GM's made-in-Mexico cars? She was used for appearance of reconciliation and discarded, says Indigenous caller as news breaks that star Trudeau cabinet minister is stepping down amid reports the PMO pressured her to help SNC-Lavalin avoid criminal prosecution. If not McArthur, then who? A serial killer who preyed on Toronto's gay village gets 25 years while the mosque shooter gets 40. Making sense of the sentencing with defense lawyer Lisa Jorgensen. Download If not McArthur, then who? Rick Prashaw, author of Soar, Adam, Soar, on his memoir about his family's transformation. Are consecutive sentences justice or revenge? Two killers will find out Friday if they will serve the harshest sentence possible in Canada. A debate with a lawyer who persuaded a judge not to give his client 75 years. Download Are consecutive sentences justice or revenge? Stories from Mexico, Syria, Pakistan, Spain and more. You might be surprised how many Canadians have been inside a foreign jail cell. Open lines with former Ontario Attorney General Yasir Naqvi. Victims of crime and Queens University law professor Lisa Kerr discuss whether telling a judge how awful a crime is accomplishes anything. Ed Lawrence fields questions on everything from shade gardens to chatting with a Mandavilla. Download Gardening: Talking to plants? While extreme cold closes US schools Canadians brag about braving frigid temperatures. The head of a transportation authority fields calls about how they decide whether the buses should roll on a frigid, snowy days. Reuniting immigrant families: Can it ever be fair? The frustration and heartbreak of bringing loved ones to Canada. Download Reuniting immigrant families: Can it ever be fair? Doctors, addicts, family members and frontline workers describe a situtaion that is still deadly. Is bigger ever better when it comes to class sizes? Open lines with teachers, parents and experts on class sizes for the youngest grades. Download Is bigger ever better when it comes to class sizes? Gardening: Too late for garlic? Is January too late for planting garlic or spring bulbs? Ed Lawrence explains how you can have both growing in your garden this coming year. Download Gardening: Too late for garlic? After a car crash, do you reach out to the other driver? Is crappy the way to happy? Why "crappy dinner parties" beat Instagram and Pinterest meals to bring friends together. Download Is crappy the way to happy? What's driving the shortage of home care workers? Open lines with those in the field, about what that work is really like. Download What's driving the shortage of home care workers? Coding for kids: How much is hype? Is coding essential for kids? Does has it have to cost a lot? Coders, parents, business people and teachers share what they've discovered. Download Coding for kids: How much is hype? Was the ex Liberal candidate racist to point out NDP leader's ethnic background? A former Chinese Canadian politician says he reacted completely differently reading it in Chinese and then translated into English.